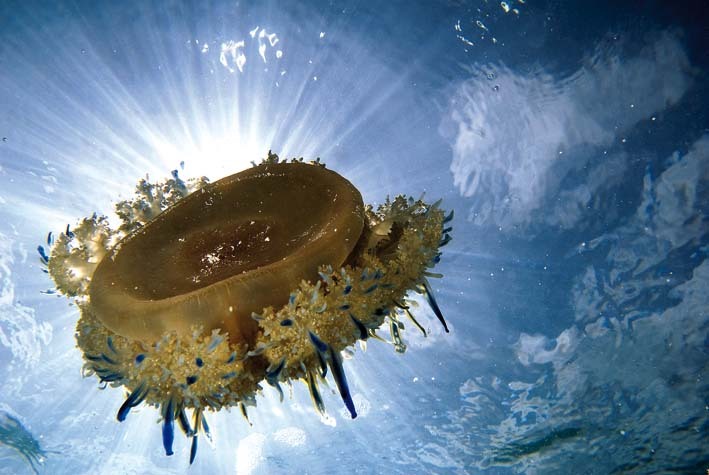 Upside-down jellyfish, Cassiopea xamachana, Cancun Mexico, Caribbean Sea. An amazing photograph of my friend Javier Sandoval. Included in his recent book: ”Beneath the Surface” Underwater Portrait of the Mexican Caribbean, which I had the privilege to design. Winner of the “BEST BOOK DESIGN 2011 AWARD” Silver mention by a! Diseño magazine. This entry was posted in Books, Photography by wordpress. Bookmark the permalink. Great post. Congratulations on the design award!